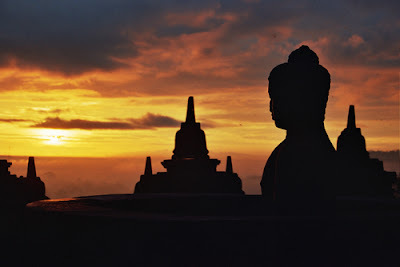 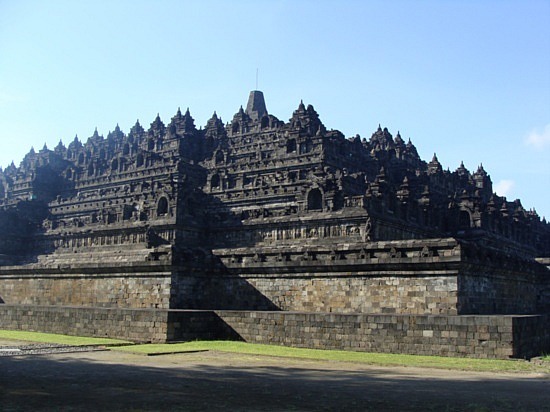 Evidence suggests Borobudur was abandoned following the 14th-century decline of Buddhist and Hindu kingdoms in Java, and the Javanese conversion to Islam.Worldwide knowledge of its existence was sparked in 1814 by Sir Thomas Stamford Raffles, then the British ruler of Java, who was advised of its location by native Indonesians. 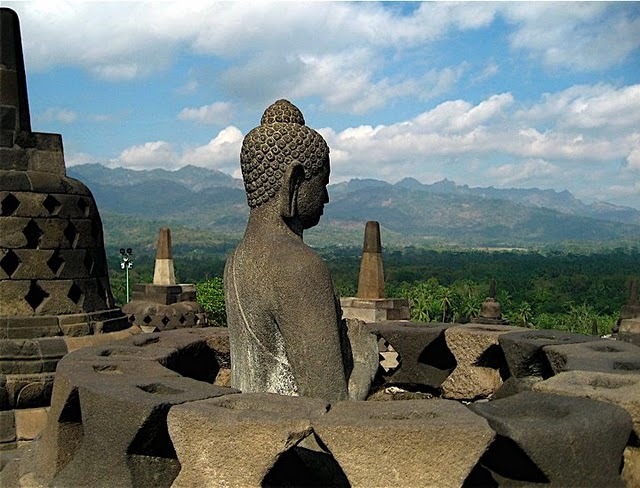 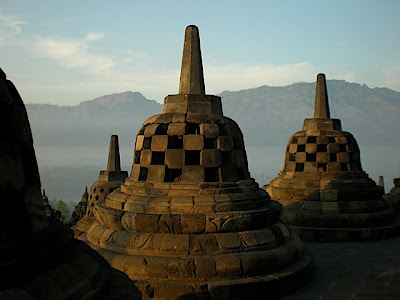 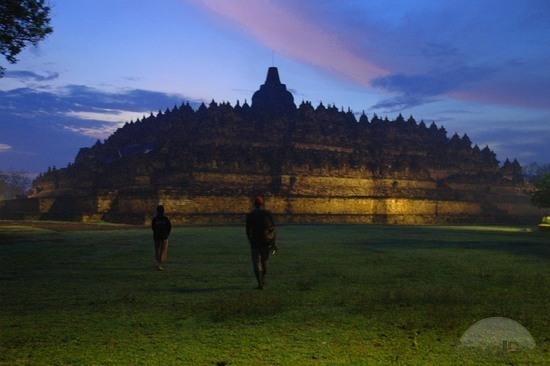 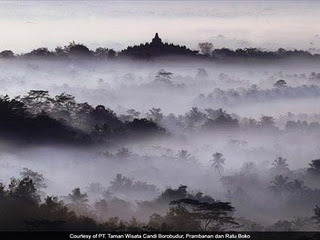 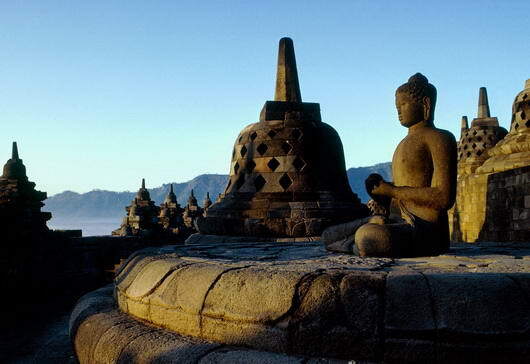 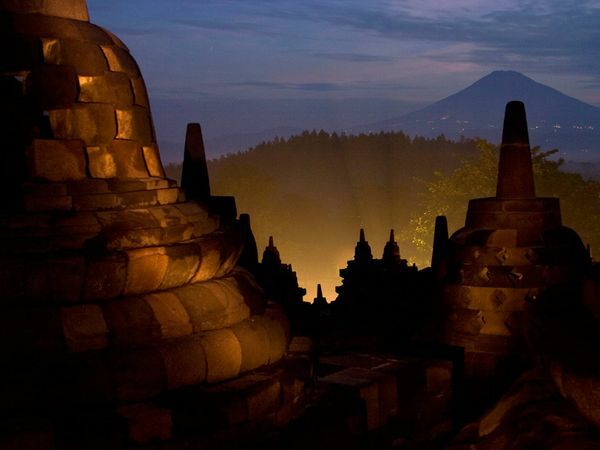 Borobudur has since been preserved through several restorations. 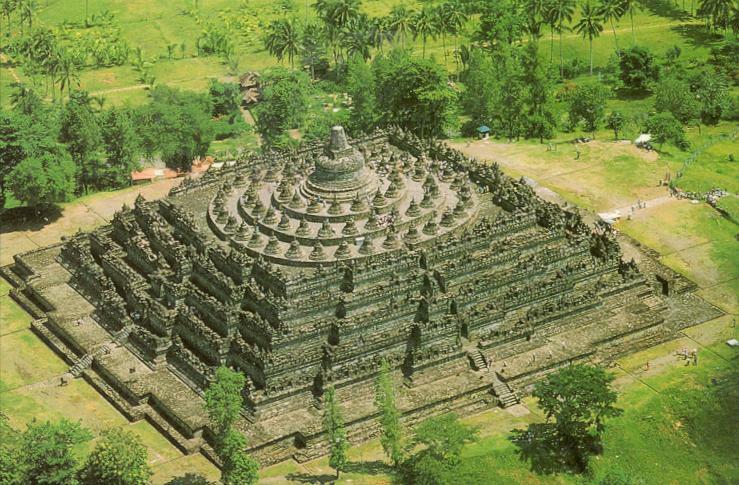 The largest restoration project was undertaken between 1975 and 1982 by the Indonesian government and UNESCO, following which the monument was listed as a UNESCO World Heritage Site.Borobudur is still used for pilgrimage; once a year Buddhists in Indonesia celebrate Vesak at the monument, and Borobudur is Indonesia's single most visited tourist attraction.